Anyway you slice it, Palestine dodged a bullet during last month's Asian Cup qualifying draw avoiding the group of death alongside the likes of Lebanon and Korea DPR. Instead, they have had the fortune of landing in Group D- where Maldives and Bhutan stand little chance of spoiling Palestine and Oman's march to UAE 2019. Furthermore, the order of matches could not have been kinder- with Palestine avoiding their toughest fixture, away to Oman, until March of 2018. Qualifying for most continental championships involves a basic formula- win at home, draw on the road. 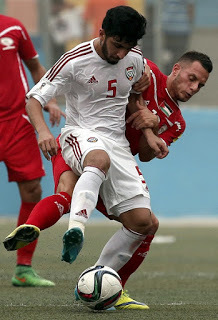 Palestine are still undefeated in all official FIFA sanctioned matches played on Palestinian soil and despite the limited sample size of five games over nine years- the artificial surface and vociferous support (as we saw against the UAE) makes Palestine a very tough proposition for even the strongest teams in Asia. Away from home, Palestine are battle tested, able to hold their own in a multitude of different environments. Keep in mind, Palestine qualified for the 2015 Asian Cup by playing six encounters on neutral ground and two away. Their record (albeit against weaker opposition) was a sterling 6-2-0 with no goals conceded. 1. Who Starts in Goal? Toufic Ali has been nothing short of a disaster this season and hasn't looked anything like the player who wrested control of the #1 shirt from Ramzi Saleh in 2015. The coaching staff was perhaps willing to overlook his inconsistencies during the tail end of 2016; but his position now is simply untenable. The former Taraji Wadi Al-Nes guardian cost Shabab Al-Khaleel a valuable 0-0 away result in Lebanon in the Arab Club Championship and has committed mental mistake after mental mistake during the WBPL campaign. The conundrum here is that there are no internationally capped goalkeepers in the current pool of players. One name does stand out though; Rami Hamadi has been excellent for Thaqafi Tulkarem- keeping 10 clean sheets in the 14 games and conceding only six goals. Given his impressive outing against Morocco's B team in November, the Shifa Amr native should fully expect to start in goal against the Maldives. 2. Will the team Attack? Palestine's World Cup qualifying campaign was effective but not all that pleasing on the eye. In fact, they failed to win plaudits from neutral observers despite holding their own against established powers Saudi Arabia and UAE. Grinding out 0-0 draws against stronger opposition is sometimes necessary. Given the fact that Palestine's defence shipped a whopping 11 goals over three matches in Australia you could understand Abdel Nasser Barakat's cautious approach. That said, confidence has been throughly restored to this group and attacking talents are available in abundance. 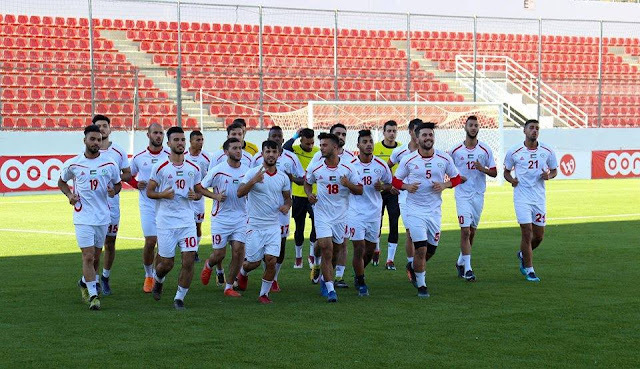 WBPL products Tamer Seyam, Islam Batran, and Ahmed Maher have stepped into the fray and pushed out the more established likes of Ashraf Nu'man, Abdelhamid Abuhabib, and Ismail Amour. Jaka Ihbeisheh and Imad Zatara can lay claim to being the best foreign imports in the Qatar Gas League. While Matías Jadue, Yashir Pinto Islame, and Carlos Salom have all gotten their seasons off to strong starts. And lest we forget the presence of Palestine's 2016 Player of the Year- Mahmoud Eid. Managers need to put their best players in position to succeed. A plan that doesn't fully allow these players to express themselves would be a disappointment. Fans would forgive Palestine for bunkering against the likes of Japan but the opposition in Group D is hardly threatening. If his social media posts are anything to go by, Alexis Norambuena is seemingly retired. 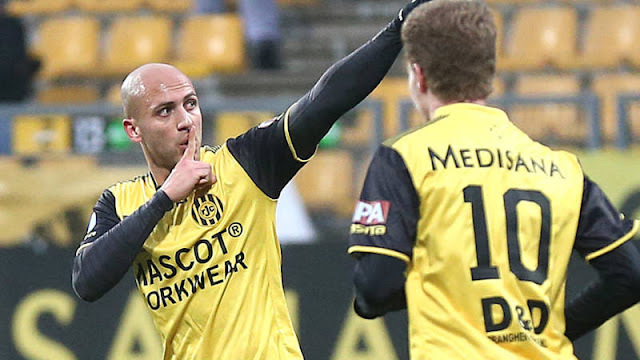 His Shabab Al-Khaleel career was marred by managerial tumult and with the former Jagiellonia Bialystok player turning 33 next month, it might make sense to look to the future. The alternatives at right back are all flawed. Muamin Eghbariyeh has been a flop at Shabab Al-Khaleel since his move from Bnei Sakhnin. Mohammed Saleh, despite his fight and commitment, is error prone and more of a centre back. While Mus'ab Battat hasn't been called up since his underwhelming showing against Timor Leste in March of last year. right back by trade. The Slovenia-born winger has been on a tear with Al-Shammal, notching nine goals in his last six Qatar Gas League games. Given the underwhelming alternatives, Ihbeisheh seems like a lock to start against Maldives and Oman. A bit of a disappointment seeing as how lethal he has been in attack as of late. 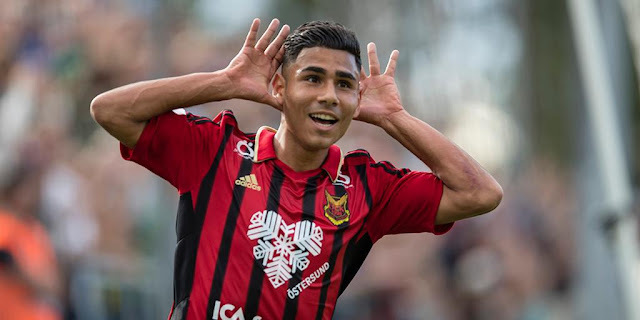 A wild card option might be to play Alaa Abu Saleh as a right back but with no friendlies scheduled before the Maldives match it seems unlikely such a bold move could be taken. 4. Does Mohammed Darwish need a partner? Darwish lives to defend and break up play. The Hilal Al-Quds enforcer doesn't really have much interest in venturing upfield so does it make sense to play another deep lying player alongside him? His partner is usually Pablo Tamburrini who, as a member of the ambitious but failed Shabab Al-Khaleel project, could lose his place with the national team. The question here is whether the coaching staff will stay committed to playing two defensive players. There are alternatives that could feature in a #10 role. Islam Batran has looked good in flashes with the national team and Ahmad Maher had a sensational Asian Champions League debut with Wehdat in that very same position. Ahmed Awad is another interesting option. If the double pivot is retained, expect Thaqafi Tulkarem's Mohammed Yameen to partner Darwish in the middle of the park. 5. How much change is too much change? Over Abdel Nasser Barakat's 18 months as national team manager there have been some tried and tested combinations. Which brings us to the age old question. Should the manager pick a lineup based on form or based on proven combinations that have delivered in the past. In truth, Barakat will most likely take a middle of the road approach. The starting lineup shouldn't feature too many new faces. It's looking increasingly unlikely that Alexis Norambuena and Pablo Tamburrini will not be called up for this match. Both players started the last three matches of any competitive significance for Palestine (vs. Saudi Arabia, Malaysia, & UAE) so there will undoubtedly be changes to go with the aforementioned change in goal. But what about unforced tactical iterations? Or favoring youth and form players? There's a log jam at forward and in the attacking midfield positions. On the left wing, Barakat has to choose between Seyam, Cantillana, the resurgent Imad Zatara, and the up and coming Oday Dabbagh. On the right wing, Sameh Mara'ba might find himself displaced by one of the aforementioned left sided players or the versatile Jaka Ihbeisheh. Central players could also displace the Thaqafi man- with Ahmed Maher, Islam Batran, and Ahmad Awad in the frame. There's also the small issue of the not-quite-retired yet Ashraf Nu'man. Without any friendlies ahead of a crucial away match expect changes to be kept to a minimum. Should Palestine collect three points in Maldives- qualification would be little more than a formality. A win in their next match against Oman could put them in control of the group and even a draw would put them on pace to qualify by Match Day 4. Expect the wholesale changes to come in the back-to-back matches against Bhutan but not earlier.